I also read you at Michelle's.Love Michelle, and she attracts the best kind of people.Enjoyed reading your post. Thanks for sharing. I'm glad you decided not to hoard this one, Evi — I think the tension between knowing faith and living it is a place where we all live. It's helpful to see it framed in words and to realize that every day we have the choice to trust or not to trust and to live like we really believe it.Also, you're awesome. 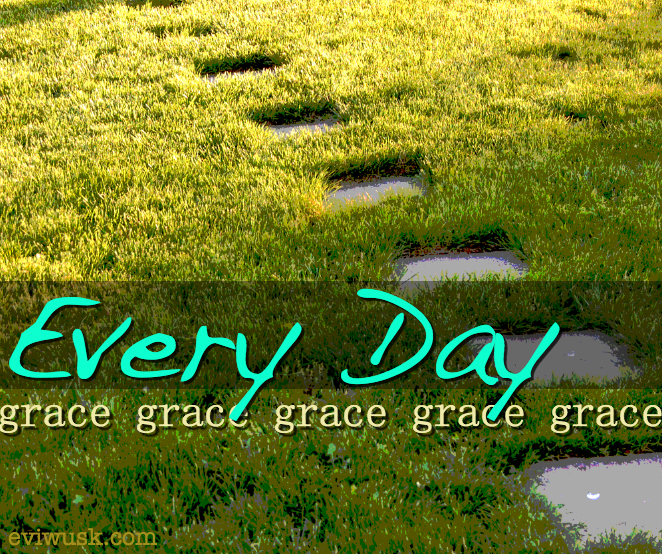 Read you post at Graceful today. I enjoyed it a lot. Now I have another blog to read!